It is always wonderful to tour the world as a DX-listener. No matter where you go, you are warmly welcomed. This time we will visit radio stations in Manila, Sardinia, Asmara and Nordkapp. Mr. June Bingbing hosting DZME's current affairs program. For him, who loves soft songs, there's no better place than Manila. 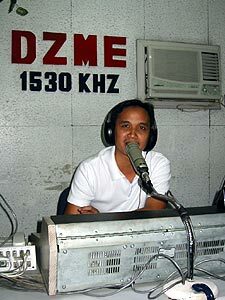 The FM band in Metro Manila is crowded with excellent stations playing beautiful love songs all day long, 24 hours a day. The announcements between songs are made both in Tagalog and English, which makes listening a unique experience. Mabuhay Mega Manila! 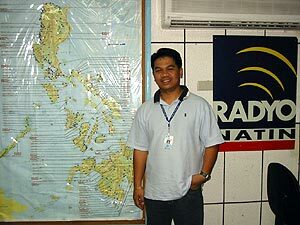 Besides these wonderful FM stations, Manila has plenty of AM stations, too. These AM stations can occasionally be heard even in Finland. One of the easiest catches is DZME on 1530 kHz. However, during the years I have not had any luck in qsl'ing the station, so I had a good excuse to visit them. Mr. Erick Rempillo, the chief engineer of MBC. We (me and my wife) arrived at DZME in the middle of the afternoon's current affairs program, but the host, Mr. June Bingbing had no problems taking us into the studio and interviewing us. Soon we realized that political programming was dropped for a while and we became the number one news item. And of course we got the chance to tell DZME's audience how we liked Manila. We surely loved it! After visiting a couple of other stations (DZXQ 1350 and DZRB 738), we headed to Manila Broadcasting Company (main station DZRH 666 ). This station has been heard quite often in Finland with its night program Operation Tulung. I have been wondering what this program is all about. MBC's chief engineer Mr. Erick Rempillo told me that it is a voluntary program, in which specialists on different sectors (such as lawyers, government officials etc.) answer listener questions. During the day DZRH has many news and current affairs programs. Besides DZRH, Manila Broadcasting Company owns two nationwide FM networks, Radio One and Radyo Natin. In total there are more than 600 stations affiliated to MBC, plus naturally a TV station as well as an amusement center, to where we were kindly welcomed that evening to watch Ms. Patricia Javier's concert! Not a bad experience at all! Beautiful lady, great voice and nice performance. 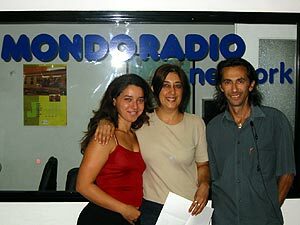 Sardinian FM stations are very, very rare in Finland, but on the 1st of June 2002 we Finnish FM DXers who live in South-Western Finland experienced a wonderful 30-minute opening to this Mediterranean paradise island. During the summer vacation I had a chance to visit two Sardinian cities, Sassari and Nuoro. Sassari is the second largest city on the island, located in the North. Nuoro on the other hand is located more centrally on the highlands. 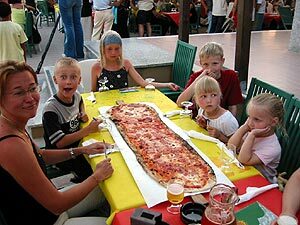 When fathers are listening distant tropospheric signals, kids and wives are enjoying a one-meter-long Italian pizza. 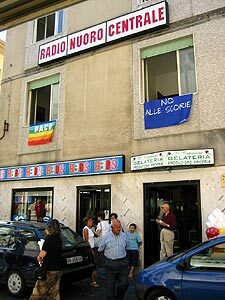 At both stations - Mondo Radio Sassari and Radio Nuoro Centrale - the welcome was a very warm one. Small talk in the beginning, a short explanation of the hobby, some Finnish souvenirs, a visit at the studios and the verification. At Radio Nuoro Centrale the QSL had already been written, but so far they had had no time to mail it. But that is understandable, after all, only 13 months had passed since the reporting date. 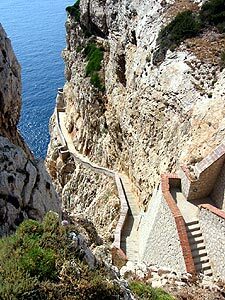 The views in Sardinia are outstanding. Sardinia is a dream come true for a tropo listener. Stations from Menorca, Ibiza, Mallorca, mainland Spain and Algeria are coming in very well during the summer months. Some stations provided even the RDS code on the car radio, despite the distance of over 1000 kilometers! My good friend Mr. Antti Aaltonen and his family spent their vacation at the same hotel (which - believe it or not - was a surprise for both families). Naturally we had to spend one evening listening to these marvellous tropo signals. At the same time kids and wives were enjoying a one-meter-long pizza! 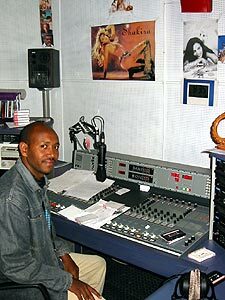 The FM channel of Eritrea broadcasts local and international pop music in the capital area. Voice of the Broad Masses of Eritrea is the only station in this beautiful and extremely friendly country, broadcasting Channel One in Tigrinya and Tigre languages on 945 and 7100 kHz. Channel Two broadcasts in Afar, Amharic, Arabic and Oromo on 837 and 7175 kHz. Transmitters are located 15 kilometers south from the capital Asmara. All these frequencies have been heard in Finland, mediumwave frequencies occasionally and shortwave frequencies on a daily basis. On FM there is just one station in the country. It is called Channel Three and is broadcasting, if I remember correctly, on 95 MHz. This FM service plays a great deal of music, mixing local and international pop. They are on the air three times a day, about 8 hours daily. Naturally all this means that Eritrea would be a great location for an FM DXer, if there were any DXers down there. The FM band is almost empty, making distant FM reception very easy. A young sheep farmer fron the town of Kheren in Eritrea. 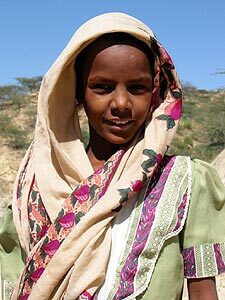 Eritrean people are the friendliest people I have ever met. It is not rare that kids run after you wanting to give you flowers or that the one who is sitting next to you at a bar would like to pay for your beer. You really feel that you are very welcome to this beautiful country. Dahlak islands on the Eritrean coast are great for snorkeling and scuba diving. These barren islands were our target, too. Enjoying the underwater world and sleeping outside under the moon was definitely one of the highlights of this trip. I was eager to check the mediumwave band, too. A lot of Arabic stations were audible, almost on every single frequency. But one surprise showed up, too, Family Radio from Taiwan on 1557 kHz. Only a simple Sangean 909 receiver with its own antenna was enough to bring in this distant station. A splendid view from the studios of Radio Nordkapp. The capital Asmara is located 2500 meters above the sea level. Landscape outside the capital is superb. 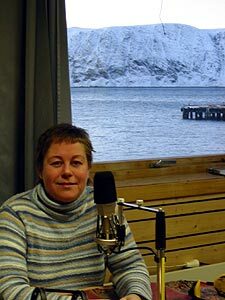 Radio North Cape (Radio Nordkapp in Norwegian) is one of the most northern stations in the world. They are broadcasting two hours a day on 103,9, 106,9 and 107,6 MHz. Rest of the day Radio North Cape retransmits the techno music channel NRK MP3. The economy of the station is based on commercials and bingo, which is indeed a very popular game in Honningsvåg and surrounding areas. 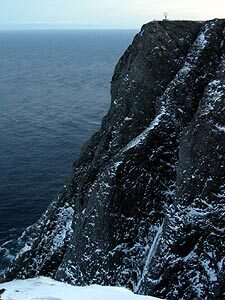 Radio North Cape has been heard once in Finland. This happened at Utsjoki, Northern Finland in summer 2000. With my four wheel drive Honda I followed a small track up to the mountain near the town of Utsjoki, put up my 4-element yagi antenna and opened my Grundig 700 receiver. The signal was not very strong, but still it was fascinating to hear this extremely rare station. (By the way, the Finnish DXing rules state that only stations which are heard within Finnish borders are approved in our QSL "competitions"). In early December you wont meet anyone at Nordkapp. Nordkapp, the northernmost part of continental Europe is a popular tourist destination during the summer and midnight sun. However, if you want to experience it all by yourself, why not pay a visit in early December, when there is nobody, not even the sun. Being alone on top of Europe is a truly outstanding experience! Remember to listen to fascinating station identifications from countries visited by Jim: Philippines, Eritrea, Italy and Norway. Published on January 8, 2004. Photos © Jim Solatie 2002-2003.